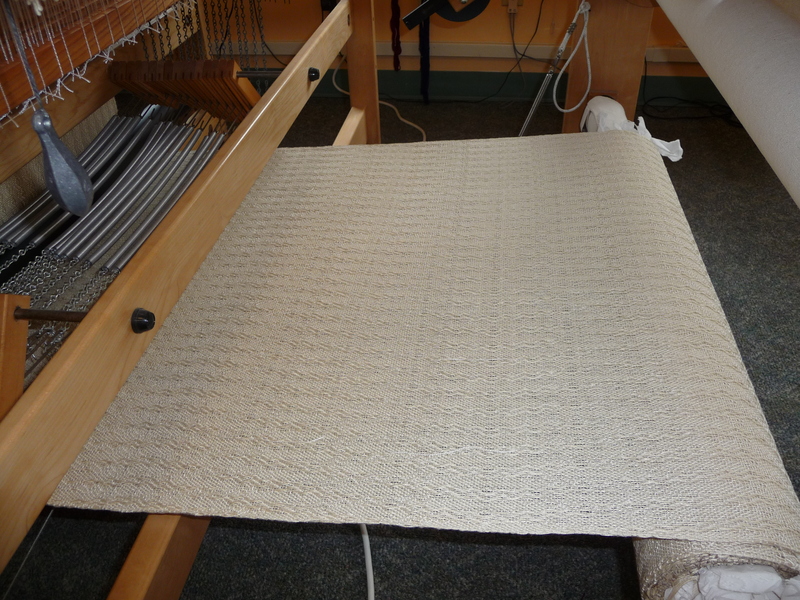 The pale neutral bamboo warp is done now, cut off the loom about an hour ago. It was fun entertaining others’ ideas on what to name it, but — truth be told — the perfect one popped into my head about a week ago. It’s called Creme Brulee, and before long, when you see the photos, you’ll probably agree. I’m glad it’s done; I’d reached boredom stage several days ago, and by yesterday had escalated to can’t-wait-to-get-it-done mode. That’s the backside, under tension, headed for the cloth beam. And that’s the end, front side, with beaded hemstitching anchoring the warp threads which become the fringe. 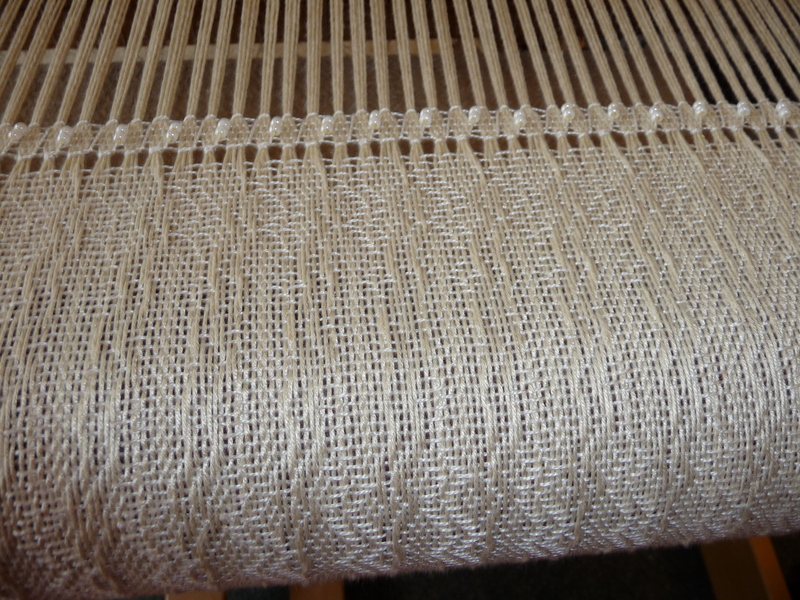 This one has a natural pearl cotton weft and a very long pattern repeat — 256 weft passes — which I like very much. Only a small portion of that is visible here. There will be a final set of photos in a couple days, after these are washed and ironed and otherwise detailed so they’re ready for the world to see. And tomorrow I’m going to start putting a new warp on Beulah, this time with some soft deep color. Enough of neutrals!